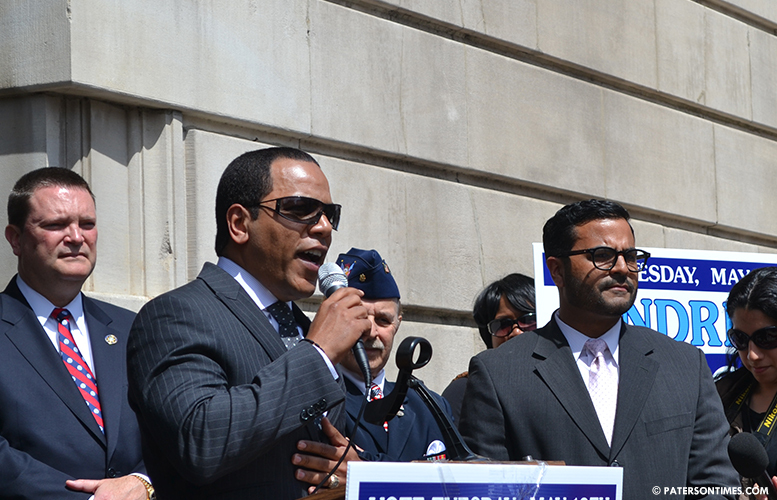 Former councilman Julio Tavarez dropped his defamation lawsuit against four of his ex-colleagues and the city on Monday. He sued the city and his once colleagues for taking a no confidence vote against him. Municipal officials have long held the lawsuit had no merit. “We said from the beginning the law was very very strongly in the city’s favor. That’s what Mr. Tavarez realized,” said law director Domenick Stampone on Tuesday morning. Both parties in the case met with judge Thomas Brogan on Monday morning to schedule trial dates. Tavarez’s side opted against further pursuing the case. Neither Tavarez nor his attorney could be reached for comment for this report. McKoy was council president when the no confidence measure was passed. The measure stemmed from allegedly divisive remarks Tavarez made in a Spanish language radio program while the city was looking to appoint a new municipal clerk in late 2014. Tavarez’s lawsuit states the basis for the no confidence vote cited in the resolution are “false.” He campaigned for diversity in the city clerk’s office, he has said in the past. When former city clerk Jane Williams-Warren (who returned in October as mayor) retired, the council had to appoint a new person to serve as clerk. Tavarez (pictured with microphone) wanted a Latino city clerk. Others argued the appointment should be made based on seniority. The council opted for the latter appointing Sonia Gordon as clerk and Joan Douglas as deputy clerk. The former councilman’s case was an odd one for a politician to file. A public figure has to prove there was actual malice. Members of the council also have what’s called “legislative immunity” that protects them from prosecution. Stampone said the city spent under $5,000 in the case. “This is a strange case that really had no factual dispute,” he said. Both sides agreed on the basic facts which meant there was no discovery, deposition, or motions which is where most legal expenses are incurred. McKoy said the case should serve as an example for those coming into office. “They should all expect to be held accountable for their actions,” he said. Tavarez also had another lawsuit against New Jersey Transit over a slip-and-fall accident that occurred at the Paterson Train Station. A judge dismissed that lawsuit.